Is Bali safe to travel? What are the risks & dangers of visiting the island? Find out more about natural disasters, terrorism, sharks, potential diseases & how to keep safe in Bali. Is Bali safe in 2018? Is Bali safe in 2019? Can you drink tap water in Bali? Is Bali a third world country? Did the volcano in Bali erupt & will it erupt again soon? Is there malaria in Bali? Are there sharks in Bali and are they dangerous? Was there an earthquake in Bali and will it strike again soon? Was there a tsunami in Bali and will it strike again soon? You’ve heard all about how wonderful Bali is, but is it safe? Venturing out into a new country always comes with risks, as you are placing yourself in a completely unfamiliar environment with unknown hazards. It is important to identify these hazards ahead of time to ensure your comfort and safety during your trip. This also means you can focus fully on enjoying your time in Bali without worrying about how things might go wrong. To help you navigate and avoid any potential dangers, here are our responses to the most commonly asked questions about Bali’s safety. Read on to find out more about volcanoes, sharks, and disease prevention on the island. Bali is considered fairly safe to travel compared to many other countries. 2018 passed largely without incident on the island, bar the eruption of Mt. Agung (more on that later). The island is well set up to receive tourists, and travel is easy and convenient within the main tourist areas. Crime in Bali is largely non-violent, and visitors needn’t worry about their safety among the locals. Bali, like many other places, has seen its share of terrorist activity, most notably in the 2002 Bali bombings. Nowadays, terrorism is considered a worldwide threat, and in this respect, Bali is no more dangerous than anywhere else. 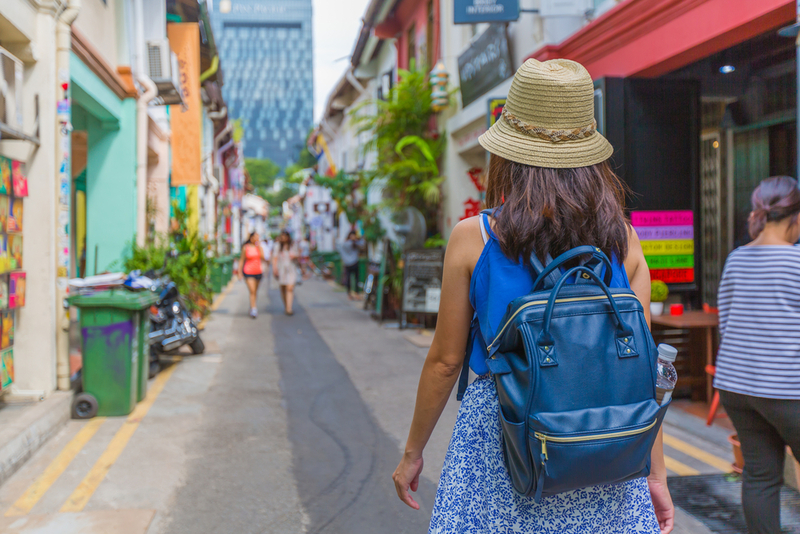 It is highly unlikely that there will be a terrorist attack during your stay (and there have been none in 2018), but it is best to be on the lookout for suspicious activity, regardless. Potential threats in Bali in 2019 are the same as for every other year. Given Bali’s position within the Pacific Ring of Fire, there is always a significant risk of natural disasters occurring on the island. These include earthquakes, tsunamis, flooding, and volcanic eruption, and can happen at any time. It is unlikely that there will be a natural disaster during your stay; however, it’s a good idea to read up on what to do in an emergency before you get there. Bali is considered to be at ‘some risk’ of terrorist activity. This may sound scary, but terrorism is now a global threat and there are few places on earth that could be considered totally safe. Be vigilant about your surroundings, and watch out for any suspicious activity. No! Tap water in Bali is not safe to drink unless it is first boiled or purified. Drinking directly from the tap can lead to a nasty case of ‘Bali Belly,’ and you’re likely to spend way more time in the bathroom than on the beach. It is important to drink plenty of clean water in Bali’s tropical climate, but you should take care to prevent sickness. Buy bottled water. Bottled water is sold cheaply everywhere in Bali. Make sure you drink plenty to avoid dehydration. Brush your teeth with bottled water. There’s some debate over whether this is necessary, but it could be a good idea if you’re prone to tummy troubles. Better safe than sorry! Invest in a water purifier. The environmentally and budget conscious should consider investing in a water purifier, such as a lifestraw. This can slash your plastic consumption, and can also come in handy on long treks. Diseases, such as Dengue, rabies, and malaria. Natural disasters, such as earthquakes, volcanic eruption, and tsunamis. ‘Bali Belly,’ usually caused by drinking impure water. However, keeping yourself safe is often just a matter of taking simple preventative measures. Speak to your GP about any vaccinations you may need to get before your trip and be vigilant about keeping yourself hydrated and sun-safe while you are there. You should also familiarize yourself with what to do in the case of a natural disaster, so you know how to handle an emergency. Bali is generally considered safe to travel, and hundreds of thousands of people pass through every year without incident. It is unlikely that you will find yourself in any dangerous situations on the island, but preparing yourself beforehand is the key to staying safe. Zika has been reported in Bali and is spread by the same mosquito that carries Dengue. The disease isn’t common, however, and your risk of contracting Zika is very low. For most people, Zika isn’t something to worry about, but the virus can cause serious problems for unborn babies. Pregnant women visiting Bali should, therefore, be careful about preventing bites on the island. 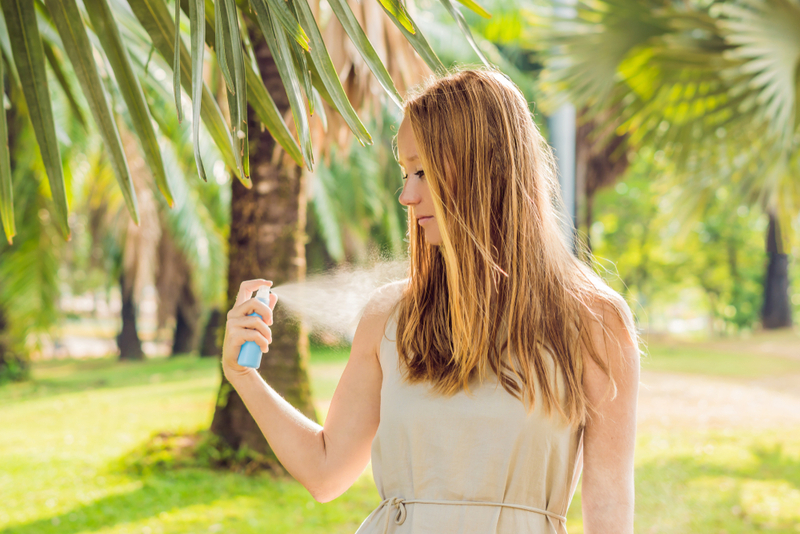 Use an effective DEET-based repellent to ward off mozzies and cover your arms and legs with loose-fitting clothing. You should be extra careful around sunset, which is when mosquitoes are most active. Use a mosquito coil to keep bugs away in the evenings, and always sleep under a mosquito net. Indonesia is still considered a third world country, despite having the largest economy in Southeast Asia. Although there is certainly poverty in Bali, many of the island’s inhabitants enjoy a comfortable, middle-class status. Mt.Agung, one of Bali’s two active volcanoes, began to crumble late last year, erupting 5 times in November 2017. All surrounding international airports were closed due to the ash clouds, and 40,000 people had to be evacuated from the surrounding area. More than 400 flights were cancelled and 59,000 passengers found out they were going nowhere – in short, it was a massive hassle. Thankfully, there were no fatalities from the incident and everyone got home safe and sound (after an extended stay on the island). But how much of a threat does Mt. Agung represent, and will it erupt again soon? The fact is that volcanic eruptions can occur at any time in Bali, and there’s no way of knowing when the next one will be. 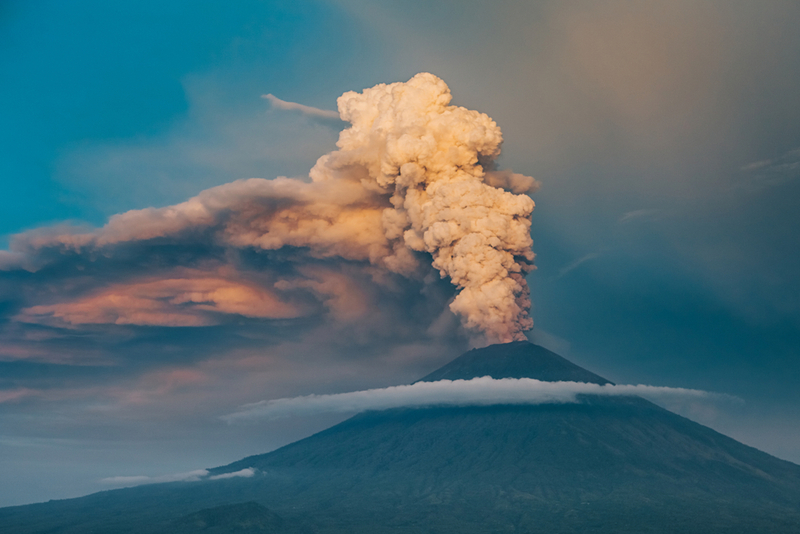 It’s a pretty safe bet that we haven’t heard the last from Agung this year, however, as the volcano has erupted twice more since November – once in January, and again earlier this month. These eruptions have been small though, and the resulting ash and smoke plumes haven’t interfered with flights. 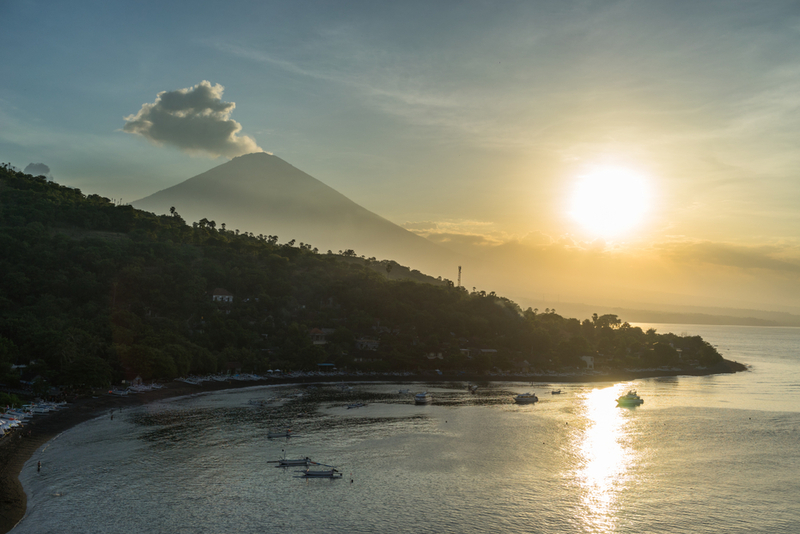 Although there is malaria in Bali, your chances of catching it are very low. The risk of malaria is highest in rural areas, so it may be something to consider if you are planning lots of trekking. 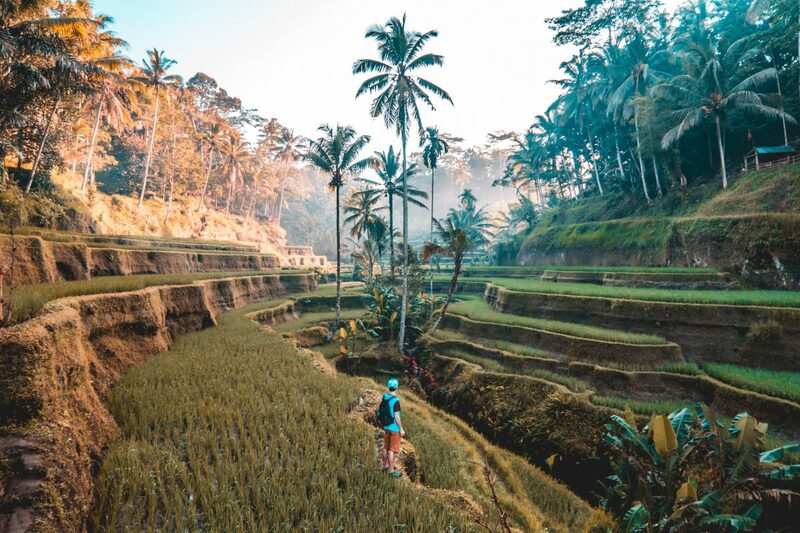 If you know you will be spending a lot of time in the more rural areas of Bali, you might want to consider taking anti-malarial medication with you. For most people, however, the normal measures for preventing bites will be enough. Use mosquito repellent, cover up in the evenings, and sleep under a mosquito net at night. 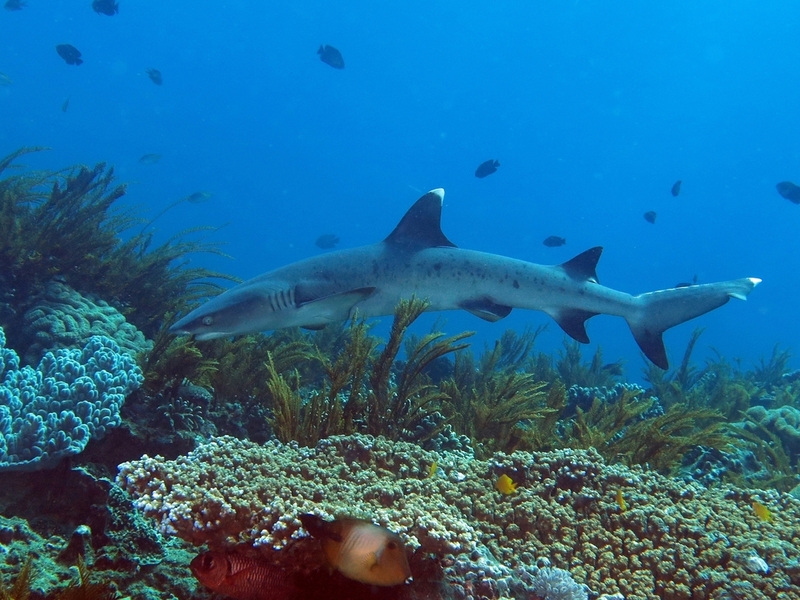 There are a couple of ‘dangerous’ shark species in Bali, including reef sharks and tiger sharks. However, shark attacks are extremely rare and don’t present any significant risk to visitors. There have been only 5 recorded shark attacks off the coast of Bali since 1900, and all have been non-fatal. Bali’s position in the Pacific Ring of Fire means that the island is always quaking and shaking, and earthquakes are common. Most recently, the island was hit by a 5.8-magnitude quake in April and a smaller 4.8 in may. Fortunately, these tremors were not strong enough to cause any damage or to trigger a tsunami. Earthquakes are common in Bali and can strike at any time. If you experience an earthquake in Bali, take cover under a sturdy table or piece of furniture until the shaking stops, and stay indoors until it is safe to move. The deadly Boxing Day tsunami of 2004 may have missed Bali, but it devastated other parts of Indonesia, and the whole area is vulnerable to future incidents. Tsunamis can strike at any time but are more common after an earthquake. Study evacuation maps. 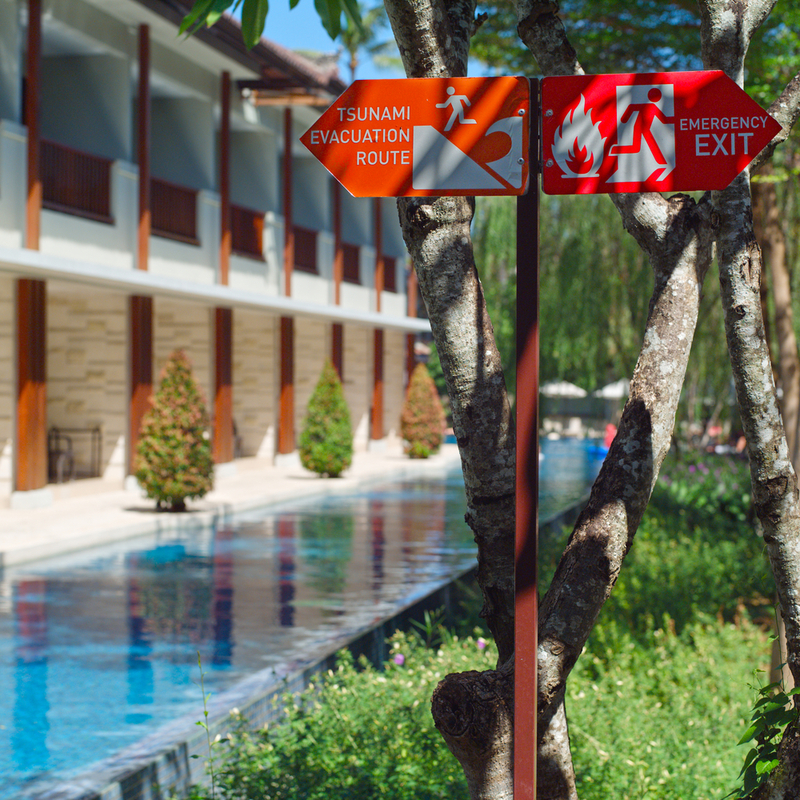 Escape routes are marked everywhere in the coastal regions of Bali and will indicate the road to higher ground and ‘yellow zones’ (safe areas). Make sure to familiarize yourself with these signs, so you know where to go if the worst happens. Listen for sirens. 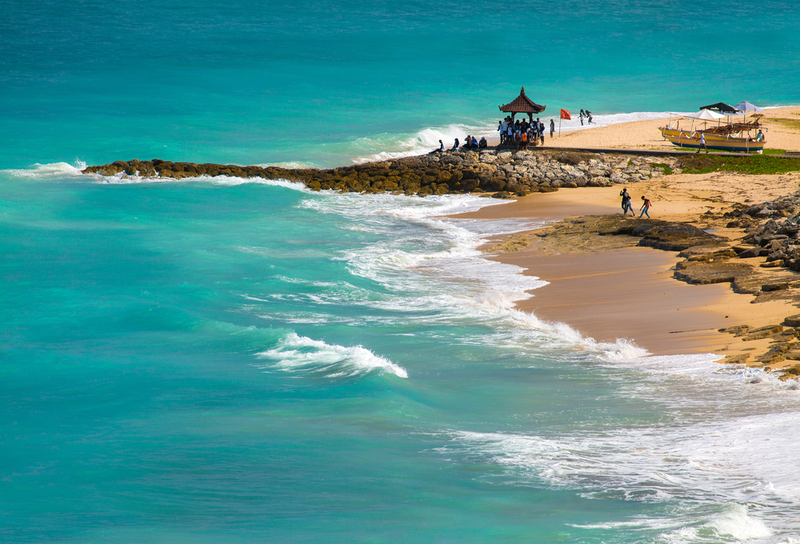 Incoming tsunamis are heralded by three-minute-long sirens in Bali. If you hear the siren, head immediately to higher ground. If there’s an earthquake, assume the worst. Earthquakes significantly increase the risk of tsunamis. If there is an earthquake while you are in Bali, make your way immediately to your nearest yellow zone.